Dolls, today I was enticed by one of MY OWN ads (it’s been known to happen). 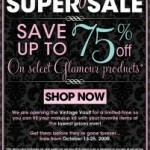 Benefit Cosmetics is now posting deals daily on their website at deals.benefitcosmetics.com. Today’s bargain gem is their Girls’ Night In, a 3-piece makeover set on sale for $34, down from $48. Perfect for Beauty Shabbot, n’est-ce pas? 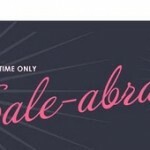 Summer VIP Sale on LORAC Cosmetics! I own and love this set. Highly highly recommended, all the products are awesome!